The Kaylula Nursery Collection now available in Australia! 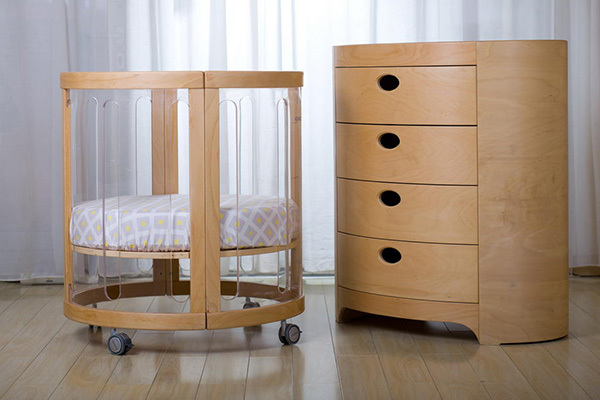 We’re all for mulitpurpose baby furniture that lives on long after your baby outgrows it. So we’re doing cartwheels over the Kaylula Sova Cot. Part of the Kaylula Nursery Collection, you won’t believe what this cot can do – and the good news is, it’s now available in Australia! 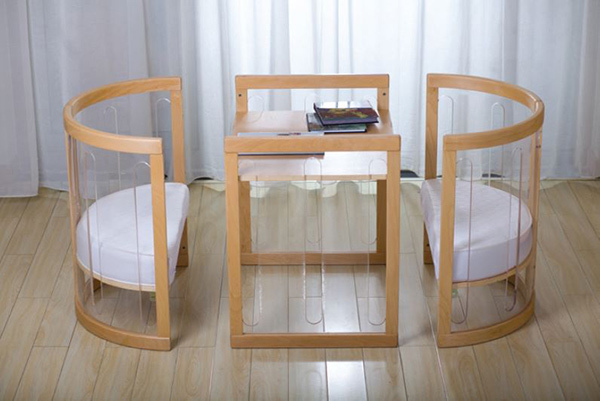 More than just a cot, the Kaylula Sova Cot (priced $1299) is the world’s first perspex oval shaped cot. The clear perspex housing provides optimum visibility for baby and for parents trying to sneakily catch a glimpse of baby from the doorway. Made from beautiful European beechwood timber, the Sova Cot transforms from a bassinet to a full size cot, to a toddler bed, playpen and unbelievably, even table and chairs. It’s complemented beautifully by the Kaylula Oval Chest, priced $1099. Joining the Sova Cot in the Kaylula Nursery Collection are two stunning cradles – the YoYo Cradle (pictured above, $1199) and Gala Cradle (pictured below, priced $1149), both providing exquisite sleeping spaces for the smallest of babies. For some serious value for money, you can’t go past the Ava Forever Highchair ($349). A completely height adjustable highchair with removable tray that can be used for children aged six months and beyond – it holds up to forty-five kilograms! The Kaylula Nursery Collection is available for the first time in Australia from these specialty baby stores: BUBS Baby Store QLD, The Baby Gallery VIC, Baby With Style NSW, Ciguenia Bebe TAS and Babyland WA. For more information on the Kaylula Nursery Collection, head on over to Babyhood.